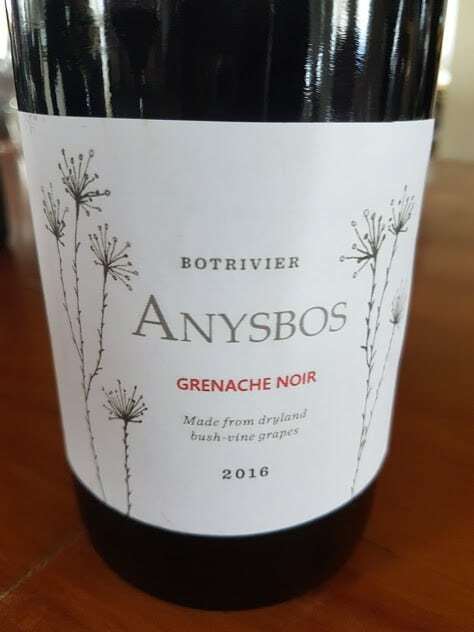 Anysbos is a newly established Bot River property owned by Johan Heyns, brother of Bernhard, the man behind nearby Gabriëlskloof. Marelise Niemann of Momento Wines is winemaker and the first bottlings are soon to hit the market. 61% Chenin Blanc, 21% Roussanne and 18% Grenache Blanc. White and yellow fruit, earth and spice on the nose. 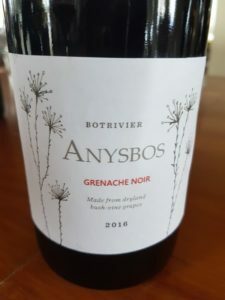 Rich and broad on the palate – generous fruit, coated acidity and some tannic texture, the finish long and dry. Only 460 bottles made. A touch of reduction before red and black fruit, herbs and spice on the nose. The palate shows concentrated fruit and spritely acidity before a savoury finish – hangs together really well.